Skoda has made the Kodiaq everything a big SUV should be; practical, comfortable, well-equipped and decent to drive. The fact that it’s also smart enough inside and out to challenge cars from Jaguar and Land Rover is proof the brand is on the up, and it still offers the value for money Skoda is famous for. We’d avoid this particular model though, and pick up a 2.0 TDI 150 SE L instead. Another landmark moment for Skoda. The brand had been making good cars long before the Yeti arrived, but that was the model that thrust it into the limelight. The Kodiaq could be its next big hit. 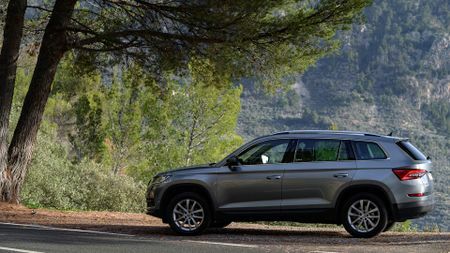 Rather than overlapping with its Tonka toy sibling, the Kodiaq is a much bigger beast, with the option of up to seven seats, a huge boot, and styling so smart you could easily mistake it for an Audi. 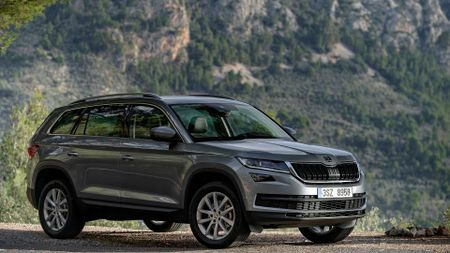 This type of car should be a walk in the park for Skoda, which has been building practical cars for practical people for a long time, but if the whole package is appealing enough, it could even end up a rival for premium alternatives like the Land Rover Discovery Sport. We’re testing the version most likely to steal customers away from that car: the top-spec 187bhp diesel, fitted with four-wheel drive, a seven-speed DSG automatic gearbox, and in ‘Edition’ trim – fully loaded in other words – but still with a sticker price of just £32,795. 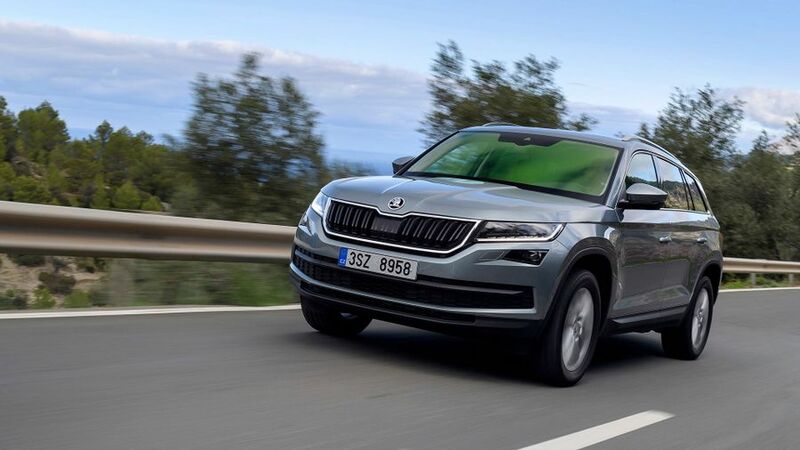 First impressions count for an awful lot, and the atmosphere that greets you as you climb inside the Kodiaq tells you a lot about how far Skoda has come recently. The cabin has the same assured feeling of quality that you get in the Superb, but the added width and height in this car somehow add to the sense of solidity. All the plastics are soft to the touch, the switches click with a reassuring precision, and the driving position is excellent. It’s high, but you still feel like you’re very much sat inside the car, rather than perched on it. The SE L and Edition models like this one come with an 8.0-inch touchscreen that’s responsive, includes sat-nav, and is covered in glass that sits flush with the dash, with no physical buttons. It looks great, and it’s fairly easy to use, with features like Apple CarPlay, DAB radio and Skoda Connect, which offers real-time traffic updates. It certainly has the quality to rival cars that cost thousands more – but Skoda hasn’t forgotten its roots, so practicality is very much priority number one. Space in the third row of seats is tight for adults, but useable on short journeys. Fold the seats away and you are left with a massive boot and flat, wide loading bay, and the middle row slides and reclines to make the best use of space. It feels roomier than the Superb in the back, but the narrow middle seat is set higher and a lot firmer than the cossetting outer chairs. It’s not quite as flexible or comfortable as the best seven-seat MPVs, but is easily as roomy as its main rivals, the Kia Sorento and Nissan X-Trail. A torch in the boot, rubber door protectors and umbrellas in the front doors are a nice touch. A lot of full-size SUVs are fairly cumbersome on the road, but the Kodiaq, like the Yeti before it, is a more entertaining drive than most. It corners well, with decent grip from the tyres, good body control and predictable responses from the steering. Sport mode offers the best weighting, but firms up the adaptive dampers too, making the ride jittery on poorer surfaces, so you’re best off leaving the springs in comfort and keeping the steering nice and sharp. The turning circle is not the best, and some three-point turns become five-point turns. You’ll also be more conscious of width restrictors and narrow lanes than in say, a Superb Estate. The weakest link is probably the 2.0-litre diesel engine. In this 187bhp guise, it’s not especially refined, particularly when worked, and while it’s punchy enough in the mid-range, there are flat spots in the power delivery which can leave it feeling a bit breathless. The seven-speed auto is a similar story, excellent when cruising, but it gets flustered and uncertain if you get too demanding. For these reasons, we think the manual 148bhp diesel is the better bet: it’s quieter, performs almost as well, and costs less to run. 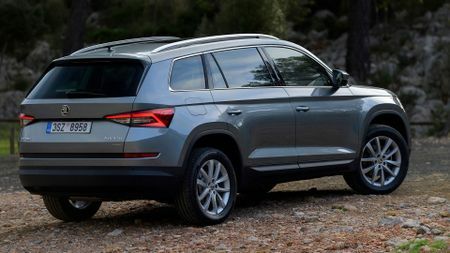 If you are looking for a seven-seat SUV, the new Skoda should be vying for your attention alongside the Kia Sorento, Hyundai Santa Fe, and Nissan X-Trail – and we’d put it close to or above that trio. It’s got competitive running costs and space, arguably even more practical touches, looks great, comes highly equipped, and for the most part, drives better than those competitors. The 2.0 TDI 190 is not the pick of the range for refinement or value, but the 148bhp mode, in SE L guise, undercuts most of its rivals on price. Better yet, it also improves the running costs from the claimed 49.5mpg and 151g/km of this top-spec 4x4, so will be a better bet for company car buyers. Just one caveat: if you don’t need seven seats, then a Seat Ateca or Nissan Qashqai are better value. Interested in buying a Skoda Kodiaq?